As we continue to build up anticipation for the upcoming football season, we take a closer look at the equipment players will be putting on in just a few short weeks. From high school to the pros, athletes everywhere are in their final preparations before football camp begins. This means gearing up with the necessary protective equipment to handle the bumps and bruises that are on the horizon. The second installment of our product reviews will focus on the ever important Adult or Varsity equipment. These would be the pads and helmets that players in High School, College, Semi-Pro, and Professionals would be strapping on. With the hits being harder and the game played faster, it’s vital that players have the best possible defense. No other piece of equipment is under the microscope more than the adult football helmet. With the increased attention on the effects of head injuries, helmet manufactures are being asked to develop safer products for today’s players. Since 1939 Riddell have been producing football helmets, and their latest effort has again pushed the bar a step higher than the rest. The SpeedFlex Helmet has now been around since the 2014 season, and is regularly found on the heads of the best NFL and NCAA players around. What has made this helmet a stand out is the technological designs Riddell has introduced, aimed at reducing the force at impact. The Flex System has engineered flexibility into the helmet shell, facemask, and clips to help absorb the impact of collisions to the head. 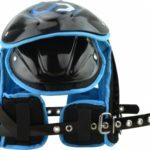 The Ratchet-Loc retention chin strap was a revolutionary new way of looking at how the helmet is attached, offering a more secure option than was previously thought of. 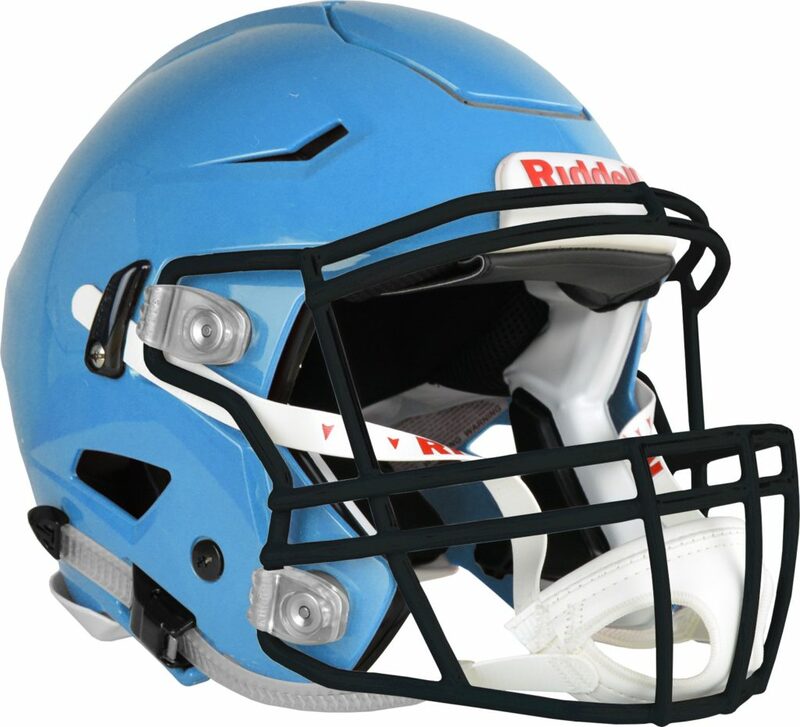 With other stand out features like quick release facemask attachments and a Five-Point inflation for a custom fit, the Riddell SpeedFlex is an excellent option when looking for an upgraded head protection. 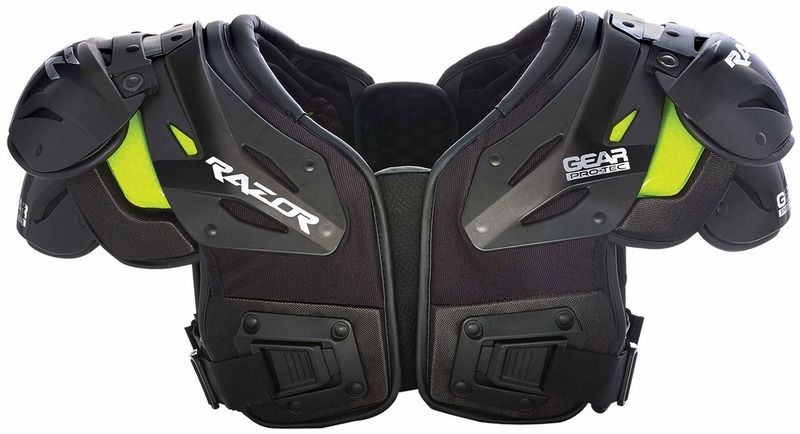 Continuing with a focus on technology emphasized protection, the Razor RZ15 All Purpose shoulder pads from Gear Pro-Tec do not disappoint. From a glance, these pads look stealthy and high performance. Under the hood they are much of the same. The SAS-TEC Visco Elastic foam absorbs and flexes better than most of its competition. Range of motion is at premium with 12% more freedom than other pads. The RZ15 also comes with a removable liner that is made up of moisture wicking fabric, allowing you to keep cool in the summer heat. 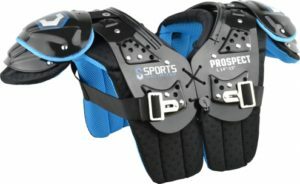 Gear Pro-Tec also makes these shoulder pads for Skilled Position players (RZ7) and Lineman (RZ55). These lightweight pads offer exceptional protection without slowing you down a step. When you get into varsity level football, extra protection become less optional and more necessary. The addition of a back plate becomes vital for most players, particularly those who find themselves being tackled. 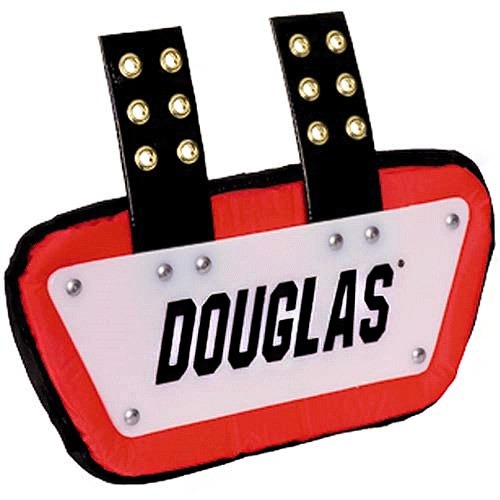 The Douglas Custom CP Series removable backplate is all you could ask for. Douglas being one of the most trusted names in shoulder pads, the CP back plate is part of their pro level protection. Durable padding with a hard shell shields the lower back from those unwarranted hits. Extra grommets allow you to customize where the pad sits, and is available in a 4” and 6” option. In times before, little thought was put into what type of chin strap you were using. Often you would just play with whatever came with the helmet, or perhaps upgrade to a hard shell. SportStar burst onto the scenes offering a range of chin straps that are not only comfortable, but remarkably protective. With a built in gel pad that offers excellent protection, comfort, and fit. The non-slip EVA foam is designed to absorb and disperse the impact from a collision. Complete with a hard outer shell, the SportStar Evolution is what you expect to see the professionals wear on Sunday. The game of football is always progressing. Whether it’s playing styles, coaching techniques, or safety equipment, continued development is essential to success. With the rise in awareness on the impact of concussions; players, coaches, and equipment manufacturers have been asked to change their thinking, and find ways to make the game we love safer. Helmet manufacturers have continued to design, test, and produce safer helmets for players to wear. The issue being, it will be nearly impossible to develop a concussion proof helmet. The fact is that the game is physical, and being played a pace faster than ever before. What may be more important to protecting players is the rethinking of how we teach and play the game. Leagues from the NFL down to Pop Warner have changed rules to protect defenseless players, and help limit the amount of traumatic collisions. This has seen some success, but it has far from solved the bigger problem. Some innovative thinkers have looked to other sports to find inspiration on how to make the game safer. One place some turned to is the birthplace of football, the sport of Rugby. More popular overseas, rugby is the pad-less version of football that can almost seems barbaric from a distance. But when you dig in a bit further, you’ll see that the lack of padded protection has forced rugby players and coaches to figure out ways to tackle and contest without putting themselves in harm’s way. 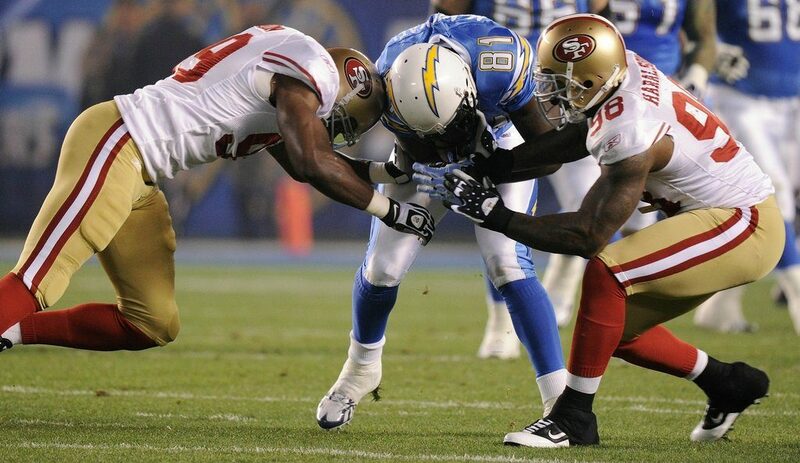 By introducing helmets and shoulder pads into a tackle situation, what it has allowed football players in the past to do is turn themselves into a weapon. Without the worries of lasting effects, players for decades have launched head first into collisions. But without this protection, rugby players have devised a different tackling style, that focuses on shoulder placement and wrapping of the arms to take down their opponents. This hasn’t removed concussions from the sport of rugby, but it has allowed for less concussions to occur, particularly when compared to the sport of football. NFL teams such as the Seattle Seahawks, and college programs like the University of Washington and Ohio State have decided to adapt this “rugby style” of tackling, in hopes protecting their players and improving their performance. In 2014, Ohio State decided to full embrace this technique, with wholesale changes to how the taught, practiced, and executed the tackle. This lead to them not only limiting injuries, but also to an improving their defense and a National Championship. 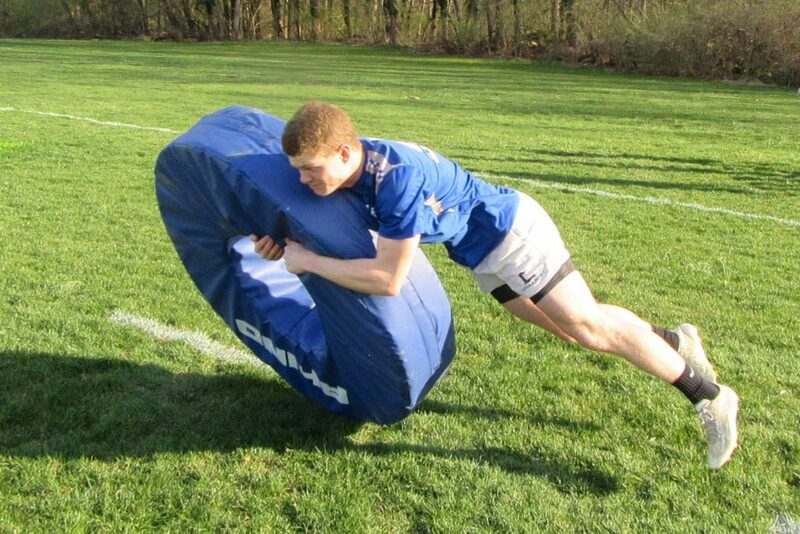 One important part to teaching the rugby tackling technique was the development of new drills and training equipment. A piece of gear that had been used in rugby for years was the tackle ring. The round bag, designed to replicate a moving player, allowed coaches to teach their players how to readjust their body and perform a safer tackle. Traditional football tackling techniques would have players put their head in front of a ball carrier, using it to slow them down. But the rugby tackling method teaches players to place their heads behind the ball carrier, lessening the likeness of a collision directly to the head, and forcing players to rely on shoulder placement and wrapping of the arms. It is one thing to introduce this new technique on a stationary bag, but it’s the making that adjust on the move that leads to its success. This is where the tackle ring or tackle wheel, plays an instrumental role. It provides safe repetitions for individual players, allowing them to correctly develop or reteach themselves how to perform a safe tackle. 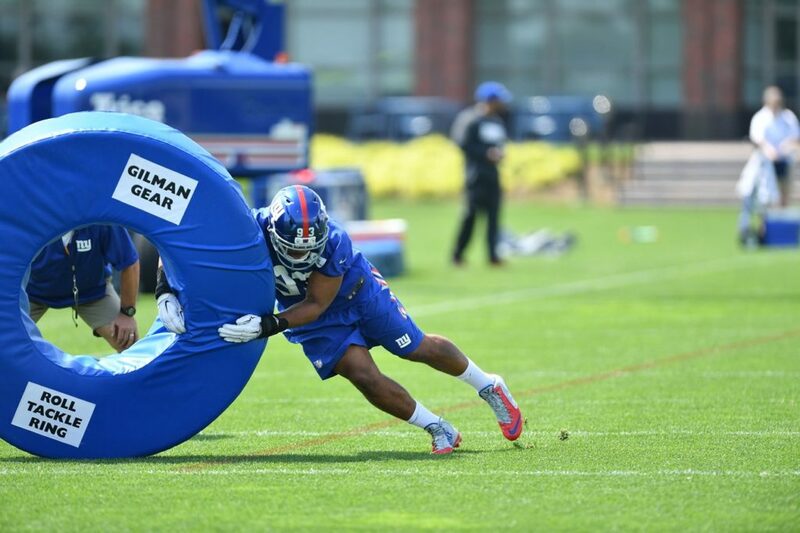 Tackling rings have become an essential part of any teams training regimen. From Pop Warner to the pros, teaching players how to safely tackle will be a crucial step in making football a safer game. 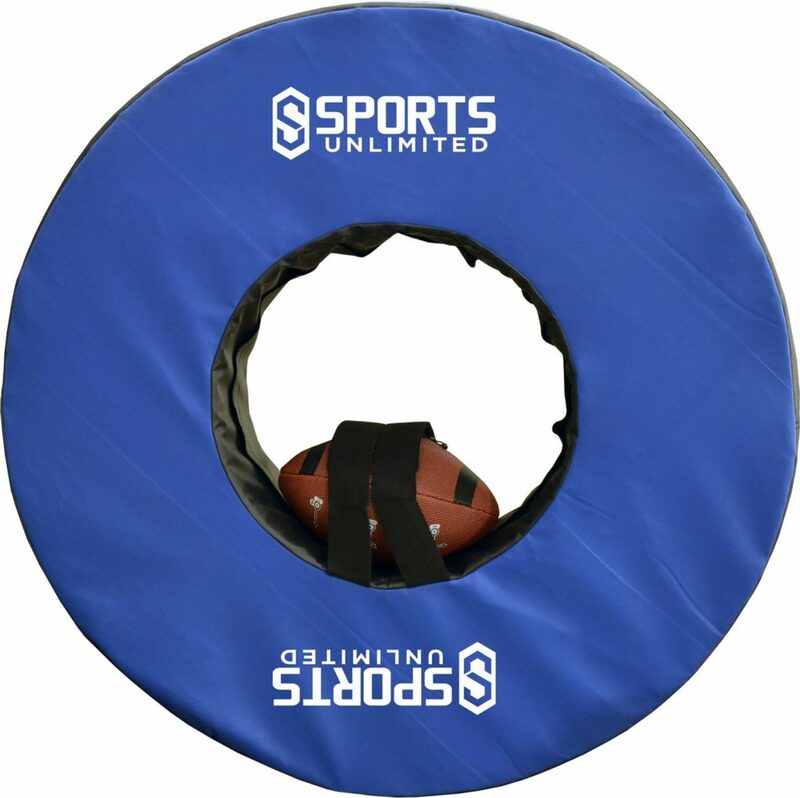 Get football tackle rings and all your other football training equipment from Sports Unlimited. As summer is upon us, we know many across the country are already dreaming of the fall. Football fast approaches, and we’ll spend the next few months anticipating our favorite College and NFL Football teams seasons, and in many cases, gearing up for our own. No matter what level you play at, having the right equipment for the upcoming year is essential. From helmets to pants, shoulder pads to receiver gloves, every player wants the safest gear that will allow them to perform at their best. We at Sports Unlimited wanted to do our best in helping you prepare, by giving you some insight on newest products from the sports leading manufactures. Over the next several weeks, we’ll highlight some recently released equipment, focusing on the new technology and features. This will allow you to make informed decisions on your purchases for next season. Our first installment looks at some of the new gear that youth football players will be wearing this year. While the speed of the game is slower, the importance of safety is no less. 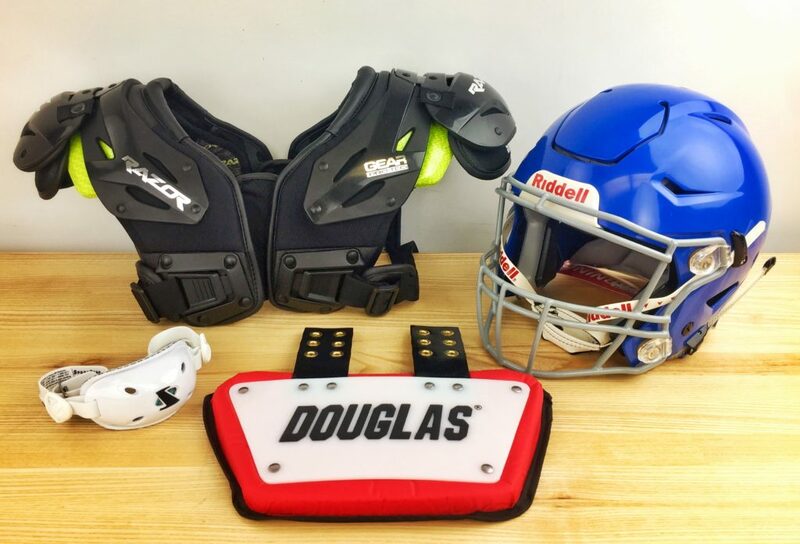 We’ll take a look at several pieces of equipment that will help protect the upper body of our future football stars, as they foster their passion for the game. The most essential piece of football equipment is undoubtedly the helmet. Offering protection to the most valuable asset, a youth football helmet is worthy of upgrade investment. While the Schutt Vengeance Z10 was released in 2016, it is now for the first time available in youth sizes in 2017. The only difference it has with its adult counterpart is the ABS Plastic shell. This shell is durable, lightweight, and required by most youth football leagues. 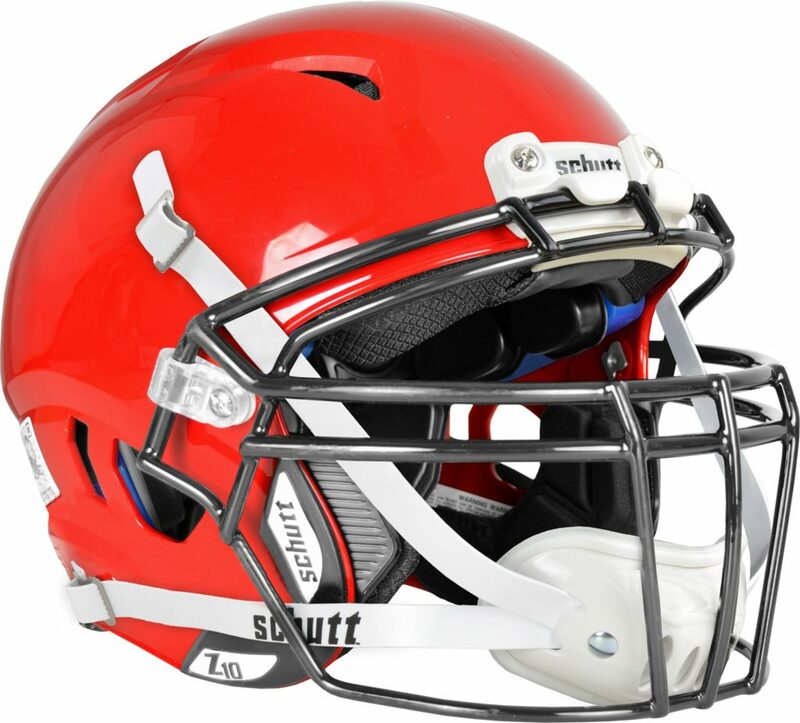 The Z10 from Schutt is a top of the line helmet, packed with all their design features that offer a great fit and defense against contact to the head. 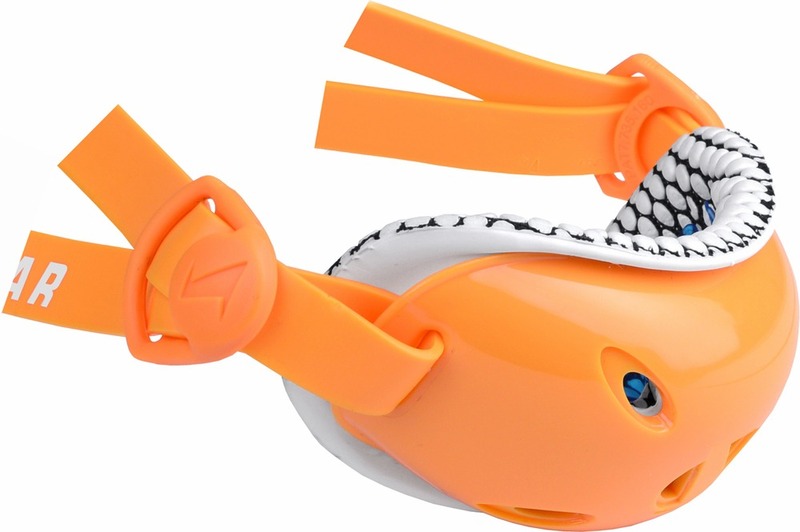 A few notable features for the Z10 are its Titanium facemask, which significantly lightens the helmet and lessens the strain on a young players neck. 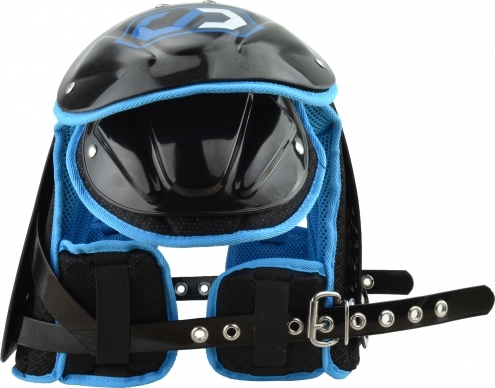 It also comes with internal and external cheek stabilizers for reinforced protection. Available in a range of colors and facemask styles to get the custom look you desire. 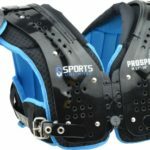 While youth football shoulder pads aren’t exposed to the intense impact hits of varsity pads, it is still important to have the necessary protection. Riddell has released a new high-end youth shoulder pad for 2017, unveiling their Riddell Surge and its premium look and feel. The most noticeable feature on these pads is the level of padded protection. 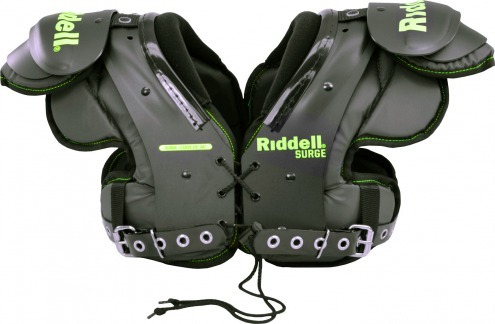 Some youth pads can limited in the padding, but the Surge offers excellent coverage of the shoulders, chest, and back. The lower back is also looked after with the inclusion of matching back plate. With a velvet collar and flat pad design that sits low on the shoulders, the Riddell Surge is great option for next season. You will typically receive sufficient coverage of the upper body with a good pair of football shoulder pads. 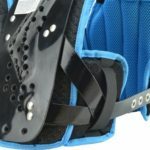 But for those who play a position that takes extra hits, the added protection of a rib protector is just what the doctor ordered. 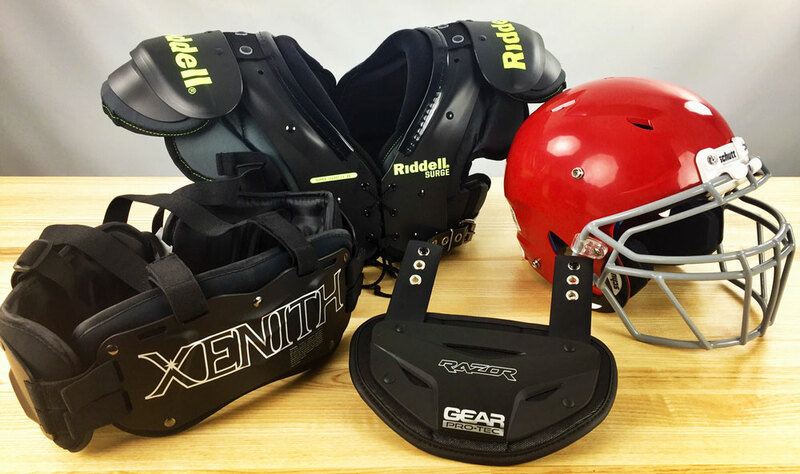 The Xenith Xflexion Core Guard is a versatile option that allows you to customize the protection you receive. 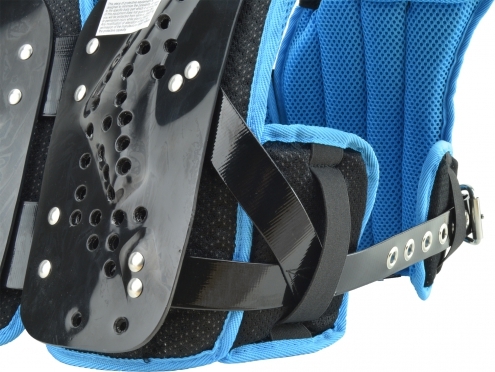 The rib pads on the Xflexion can be adjusted or removed, letting you use this as just a back plate as well. 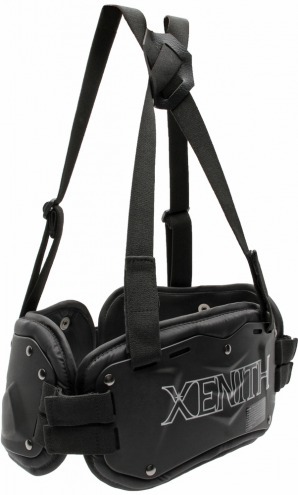 The Xenith’s also come with their own shoulder strap, letting you use them with or without shoulder pads. Size specifically to the dimensions of a youth player, the Xenith Xflexion is exceptional choice. The last piece to the upper body protection equation is the addition of a back plate. 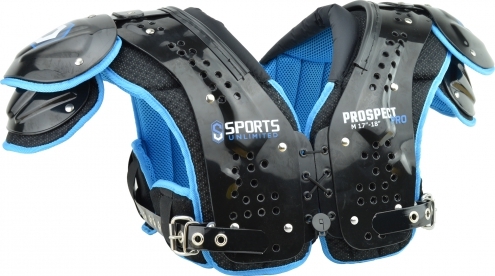 Some shoulder pads come with a back plate, and some rib protectors have one built in. 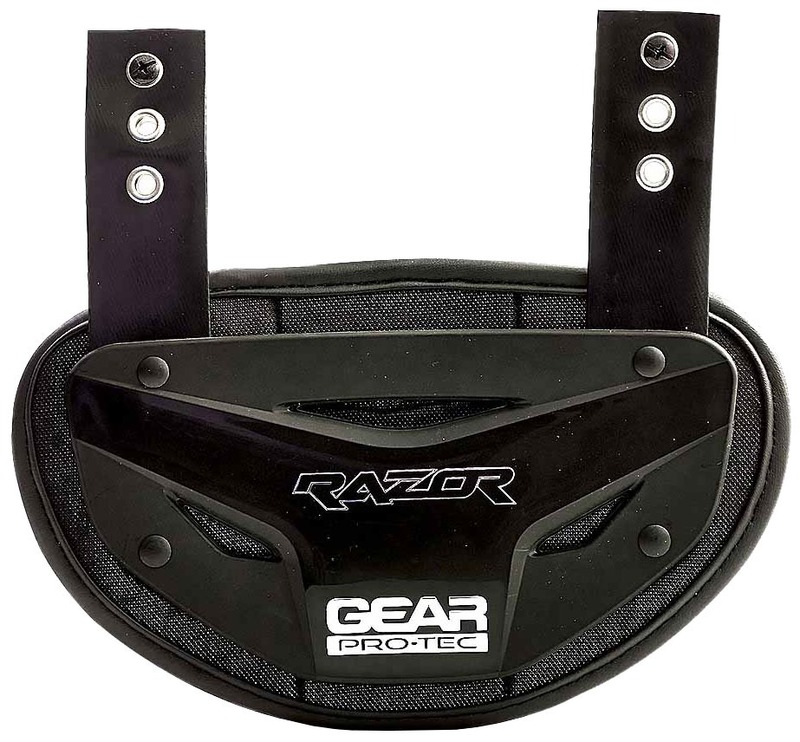 But for those that don’t already have the lower back coverage they desire, than the Gear Pro-Tec Razor back plate is a perfect solution. 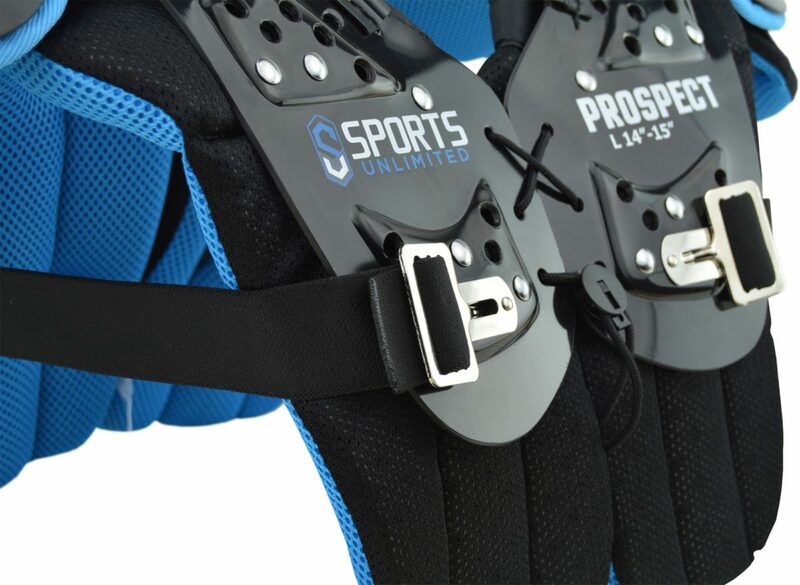 Using the same technology found in their highly rated shoulder pads, the Razor back plate features Compressed HEX foam side panels and SAS-TEC foam spine inserts. These make for a lightweight, breathable protection of the lower back and spine. Works for all Gear Pro-Tec Razor and Z-Cool shoulder pads, as well as fitting most other brand pads with its universal T-nut and screw attachment.